2. James_Quinn James Quinn is a senior director of strategic planning for a major university. James has held financial positions with a retailer, homebuilder and university in his 22-year career. 3. Michael_Noonan Michael Noonan is a Chicago-based trader with over 30 years in the business. 8. OilPrice_Com Oilprice.com is the most popular energy news site in the world. Our analysis focuses on Oil and Gas, Alternative Energy and Geopolitics. 10. Gordon_T_Long Mr. Long is a former executive with IBM & Motorola, a principle in a high tech start-up and founder of a private Venture Capital fund. He is presently involved in Private Equity Placements Internationally in addition to proprietary trading that involves the development & application of Chaos Theory and Mandelbrot Generator algorithms. 13. Anthony Cherniawski a State Registered Investment Advisor, The Practical Investor (TPI) manages private client investment portfolios using a proprietary investment strategy. 14. Chris_Vermeulen Founder of the popular trading site TheGoldAndOilGuy.com. There he shares his highly successful, low-risk trading method. Methodology - Per author - Total reads of the Top 10 Articles published to the site during the preceding 6 months. Last updated 2nd May 2013. Regular Contributors of analysis to the Market Oracle out of a pool of more than 600. Anthony Cherniawski a State Registered Investment Advisor, The Practical Investor (TPI) manages private client investment portfolios using a proprietary investment strategy. Andrew_Abraham Commodity trading ddvisor and co manager of a Commodity Pool. Andrew Butter Managing partner of ABMC, an investment advisory firm, based in Dubai, that he setup in 1999. Angelo_Campione Stock Barometer newsletter editor. Asha_Bangalore Asha Bangalore is Vice President and Economist at The Northern Trust Company, Chicago. Prior to joining the bank in 1994, she was Consultant to savings and loan institutions and commercial banks at Financial & Economic Strategies Corporation, Chicago. BATR "Many seek to become a Syndicated Columnist, while the few strive to be a Vindicated Publisher"
Barry_M_Ferguson Barry M. Ferguson, RFC is President and founder of BMF Investments, Inc. - a fee-based Investment Advisor in Charlotte, NC. Behrouz_Fallahi I am a self taught market participant with more than 12 years of managing my own money. Bill_Downey Bill Downey is an independent investor/ trader who has been involved with the study of the Gold and Silver markets since the mid 1980’s. Boris Chikvashvili A theoretical physicist(Russia+Jerusalem Hebrew University, MS Physics, with distinction, toyed with QUARKS). Casey Research Casey Research has been making money for subscribers for 30 years. We do it by spotting trends in a market or the economy early — way ahead of the crowd. Chris_Kitze A long career in digital media led to Before It's News, the People Powered News site that is quickly becoming a leading source for alternative news. Chris_Vermeulen Founder of the popular trading site TheGoldAndOilGuy.com. There he shares his highly successful, low-risk trading method. Chris is the publisher of the Prudent Squirrel newsletter, an economic and gold commentary. Daily Wealth The DailyWealth Investment Philosophy: In a nutshell, my investment philosophy is this: Buy things of extraordinary value at a time when nobody else wants them. Then sell when people are willing to pay any price. Darryl R Schoon Author of How to Survive the Crisis and Prosper In The Process. I assist business owners and professionals in several critical areas ranging from business start-up, marketing, operational challenges, employee retention, and strategic planning to personal asset protection, financial, and retirement income planning. Danny_Schechter Edits Mediachannel.org. He has reported from China and writes on financial issues and social justice. David_Grandey David Grandey is the founder of All About Trends, an email newsletter service revealing stocks in ideal set-ups offering potential significant short-term gains. is a long wave analyst, technical market analyst, world-systems analyst and author of Jubilee on Wall Street; An Optimistic Look at the Global Financial Crash, Updated and Expanded Edition (2009). Ed_Carlson Ed Carlson, author of George Lindsay and the Art of Technical Analysis, and his new book, George Lindsay's An Aid to Timing is an independent trader, consultant, and Chartered Market Technician (CMT) based in Seattle. Enda_Glynn I have studied and traded using Elliott wave analysis as the backbone of my approach to markets for the last 10 years. Fool.co.uk The Motley Fool is an independent, award-winning company dedicated to helping people compare financial products online and switch to the best products for their needs. Fred_Sheehan Frederick Sheehan is the author of Panderer to Power: The Untold Story of How Alan Greenspan Enriched Wall Street and Left a Legacy of Recession (McGraw-Hill, November 2009). Fresbee Fresbee is Editor at Investing Contrarian. He has over 5 year experience working with a leading Hedge fund and Private Equity fund based out of Zurich. He now writes for Investing Contrarian analyzing the emerging new world order. 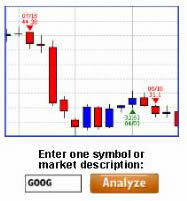 Gary_Tanashian NFTRH+ chart and trade ideas or the free eLetter for an introduction to our work. Or simply keep up to date with plenty of public content at NFTRH.com and Biiwii.com. Gary North He is also the author of a free 20-volume series, An Economic Commentary on the Bible . Gordon_T_Long Mr. Long is a former executive with IBM & Motorola, a principle in a high tech start-up and founder of a private Venture Capital fund. He is presently involved in Private Equity Placements Internationally in addition to proprietary trading that involves the development & application of Chaos Theory and Mandelbrot Generator algorithms. Harry Boxer Editor of the Real-Time Technical Trading Diary. Jason_Hamlin Jason Hamlin is the founder of Gold Stock Bull and publishes a monthly contrarian newsletter that contains in-depth research into the markets with a focus on finding undervalued gold and silver mining companies. James_Quinn James Quinn is a senior director of strategic planning for a major university. James has held financial positions with a retailer, homebuilder and university in his 22-year career. Jeff_Berwick Anarcho-Capitalist. Libertarian. Freedom fighter against mankind’s two biggest enemies, the State and the Central Banks. Jeff Berwick is the founder of The Dollar Vigilante, CEO of TDV Media & Services and host of the popular video podcast, Anarchast. Jeff is a prominent speaker at many of the world’s freedom, investment and gold conferences as well as regularly in the media. Jes Black Holds a degree in economics from the University of Kansas and an MBA from the ESC in France. His market commentary is often featured in the Wall Street Journal, Financial Times and Reuters. Jesse Welcome to Jesse's Café Américain - These are personal observations about the economy and the markets. J_W_Jones J.W. Jones is an independent options trader using multiple forms of analysis to guide his option trading strategies. Jones has an extensive background in portfolio analysis and analytics as well as risk analysis. Larry_Edelson Larry Edelson, a financial analyst specializing in international macro-economics, and the precious metals and natural resources markets, is the editor of Weiss Research’s Resource Windfall Trader and the monthly newsletter Real Wealth Report. Mario Innecco Editor of ForSoundMoney "we stand for a hard currency"
Martin D Weiss Dr. Weiss is a leader in the fields of investing, interest rates, financial safety and economic forecasting. Marty Chenard Is the Author and Teacher of two Seminar Courses on "Advanced Technical Analysis Investing"
Merv Burak Chartered Market Technician who focuses on the gold industry and has developed several Gold Indices. Michael_Noonan Michael Noonan is a Chicago-based trader with over 30 years in the business. Michael Pento A 15-year industry veteran whose career began as a trader on the floor of the New York Stock Exchange. Mike Whitney Is a freelance writer living in Washington state, interested in politics and economics. Money Morning Your Guide to Financial Freedom. We’re in the midst of the greatest investing boom in almost 60 years. And rest assured – this boom is not about to end anytime soon. Nadeem Walayat Editor of MarketOracle.co.uk. with over 20 years experience in trading and investing. OilPrice_Com Oilprice.com is the most popular energy news site in the world. Our analysis focuses on Oil and Gas, Alternative Energy and Geopolitics. PhilStockWorld Philip R. Davis is a founder of Phil's Stock World (www.philstockworld.com), a stock and options trading site that teaches the art of options trading to newcomers and devises advanced strategies for expert traders. Pravda Truth from a Russian perspective. Professor_Emeritus Professor Antal E. Fekete, Intermountain Institute for Science and Applied Mathematics. GOLD STANDARD UNIVERSITY"
Q1_Publishing Q1 Publishing is committed to providing investors with well-researched, level-headed, no-nonsense, analysis and investment advice that will allow you to secure enduring wealth and independence. Mr. Matison is a U.S. patriot who immigrated to this country in 1949. With a B.S. in engineering physics, an M.S. in Actuarial Science, work in the actuarial field, and as a financial analyst at Legg, Mason Inc., Lehman Brothers, and investment banking at Kidder Peabody, and Merrill Lynch provides a diverse background for experience. Richard C Cook Is a former federal government analyst who was one of the key figures in the investigation of the space shuttle Challenger disaster. Robert_Murphy Robert Murphy, an adjunct scholar of the Mises Institute and a faculty member of the Mises University. Sarah Jones Market Oracle Staff Writer - An economist by profession. Seven_Days_Ahead Technical and macro analysis and high-performing trade recommendations with detailed risk control for banks, hedge funds, and expert private investors around the world. Steve Selengut Author of: "The Brainwashing of the American Investor: The Book that Wall Street Does Not Want YOU to Read"
Tim Iacono Editor of Iacono Research. Tony_Caldaro After about 40 years of investing in the markets one learns that the markets are constantly changing, not only in price, but in what drives the markets. In the 1960s, the Nifty Fifty were the leaders of the stock market. Tony_Pallotta A Boston native, I now live in Denver, Colorado with my wife and two little girls. I trade for a living and primarily focus on options. Vishal_Damor Vishal Damor, works for an emerging market financial consulting firm and is the editor at INVESTING CONTRARIAN, a financial analysis and reporting site covering commodities, emerging markets and currencies. William_R_Thomson Chairman of Private Capital Ltd. The Market Oracle recieves numerous additional occasional submissions. If you would like to submit articles to the Market Oracle, then please click here for details.